COLUMBUS, Ohio — New research shows just how powerful the United States’ and other countries’ influence can be on persuading other nations to ratify international treaties. “The simple act of a single country ratifying a treaty can have dramatic ramifications for what other countries do in ways that haven’t always been apparent,” said Skyler Cranmer, co-author of the study and the Carter Phillips and Sue Henry associate professor of political science at The Ohio State University. For example, the study found that the United States’ signing of the United Nations Framework Convention on Climate Change (UNFCCC) in 1992 may have influenced Russia to ratify the treaty. Without action by the U.S., Russia would have had only a 40 percent probability of signing the treaty, according to the model. Russia wasn’t the only unexpected country that signed the UNFCCC as a result of American ratification. U.S. support of the UNFCCC also influenced Nigeria, Thailand and Uruguay to sign, all of which have lacked significant, direct relationships with the United States. “We didn’t have a good way of measuring country-to-country influence before, but now we do,” Cranmer said. “But this is missing the whole dynamic of international leadership. You’re not seeing how states influence each other,” he said. This study found that countries can be both positive and negative influencers on how other nations respond to international agreements. 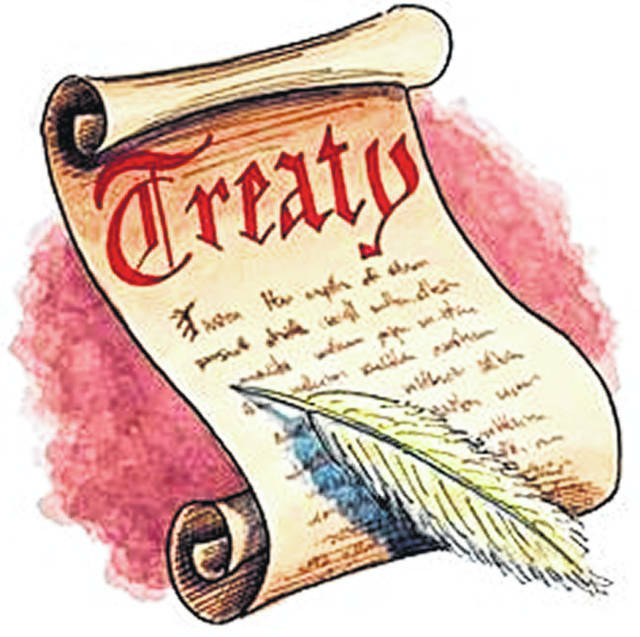 An example of negative influence is one country’s ratification of a treaty making it less likely that another will do the same. One reason may be that some countries are looking for a “free ride,” Cranmer said. Countries get a free ride when they don’t ratify a treaty, but still benefit from its environmental protections when nearby countries ratify. Still, one country acting as a negative influence on another country’s ratification was relatively uncommon. Positive influence – when ratifying a treaty makes another country more likely to join – was much more common. “To us, this demonstrates that, on average, international institutions, such as the United Nations, have worked in facilitating global environmental protection. This isn’t something that we would always expect given the criticism of these institutions and global governance efforts,” Cranmer said. Cranmer said it was significant that the United States’ ratification of the UNFCCC had a positive influence on distant countries like Nigeria and Thailand also signing. “These indirect effects are something we have not been able to document before in international politics,” he said. The effects go beyond even the single treaty itself. The study found that the United States’ ratification of UNFCCC not only influenced other countries’ probability of ratifying that treaty – it also influenced Mexico and Russia’s probability of joining a different treaty: the United Nations Convention to Combat Desertification. “The actions of the United States have indirect influence on a lot of other countries that we could not quantify before,” Cranmer said. “Environmental treaties are not the only application. We now are using the same tool to examine how countries influence each other on human rights treaties,” he said.